Christmas Tree Skirt with Santa Claus Suit Red Velvet Material and Santa Claus Belt. 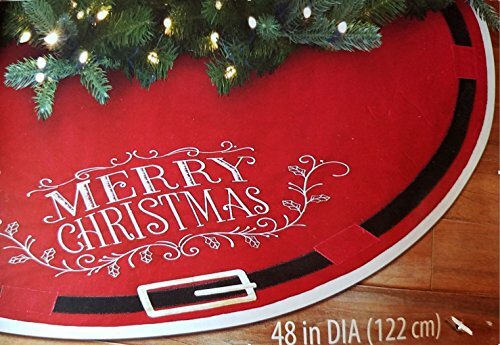 Santa and your kids will love this Santa Claus Christmas Tree Skirt . Embroidered "Merry Christmas" on red velvet. Skirt is 48" in diameter. Christmas Tree Skirt with Santa Claus Suit Red Velvet Material and Santa Claus Belt. Skirt is 48" in diameter.